I'm posting this here in the novae forum for follow-up. A bright transient was discovered in Scorpius at magnitude 11.1U by Koichi Nishiyama and Fujio Kabashima on 2013 June 3, and posted to CBET's Transient Objects Confirmation Page as PNV J17335943-3606216. It has been optically confirmed by Ernesto Guido and Nick Howes at 11.5U on June 3, and by Akira Takao (no date or mag). Multicolor photometry and spectroscopic observations are requested to determine the nature of this object. 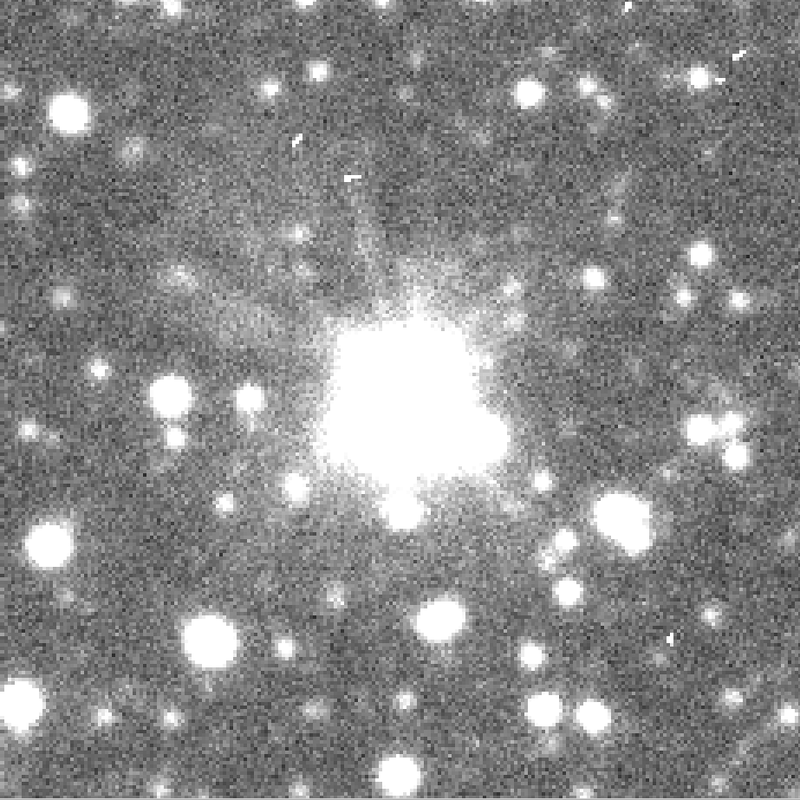 PNV J17335943-3606216 has been confirmed as a nova and is now Nova Sco 2013. Please see AAVSO Alert Notice 484 for details. 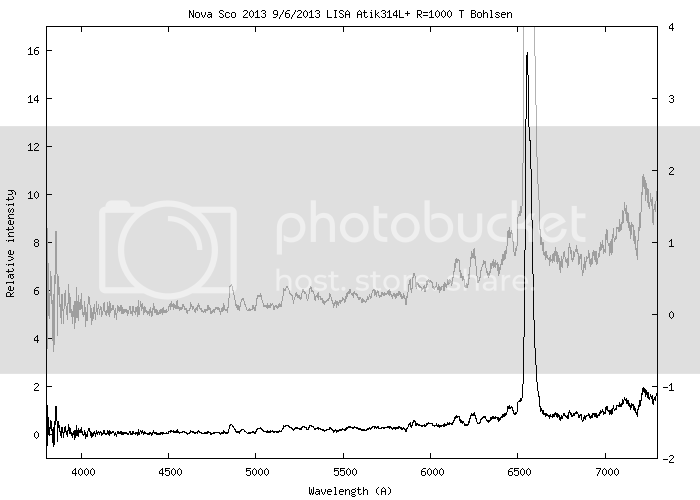 I have also obtained a spectra of this nova. It is certainly a nova. Here is a V-band image of the field, about 6x6arcmin, taken with OC61 on 2013-06-05UT. 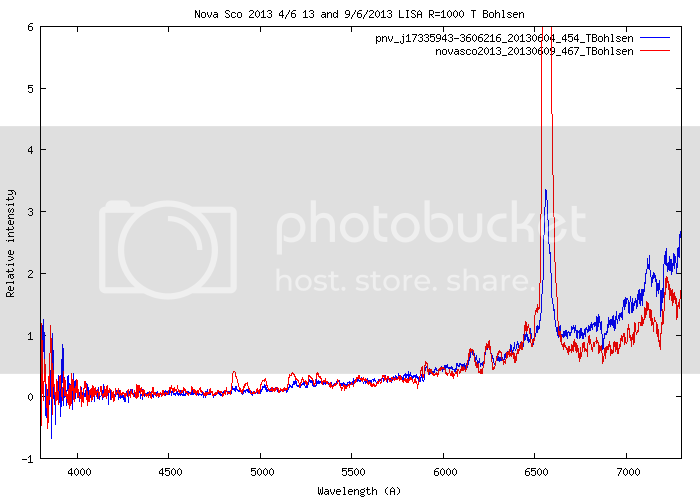 The nova was about V=13.9 at this time, and definitely quite red. 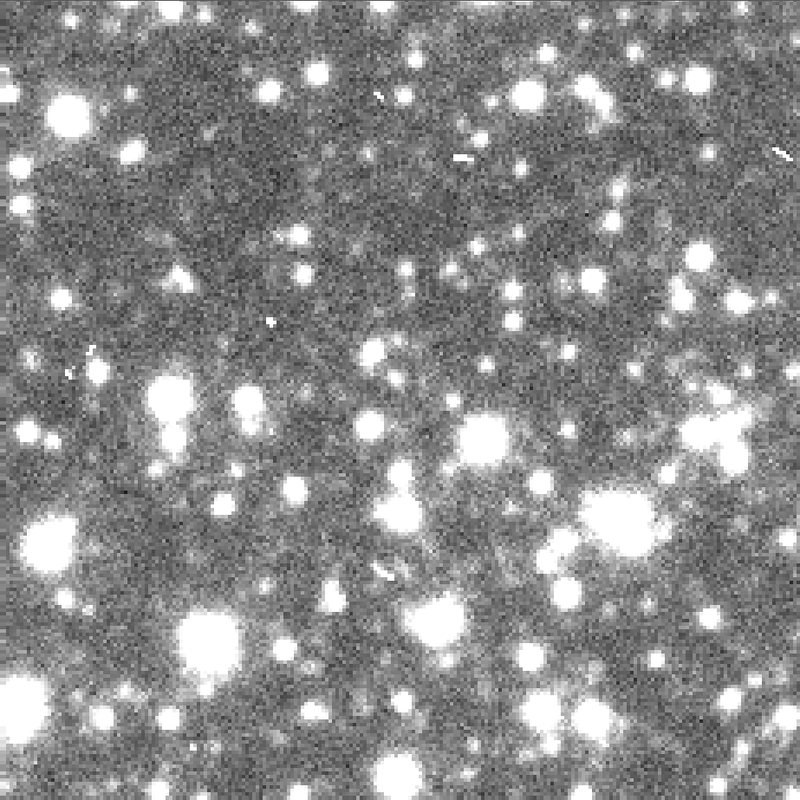 ATEL #5115 describes the OGLE observations of this field - it is being continuously covered by the OGLE IV project, looking for Galactic Bulge microlensing candidates. The survey is in the Ic band, so really highlights the red nova. 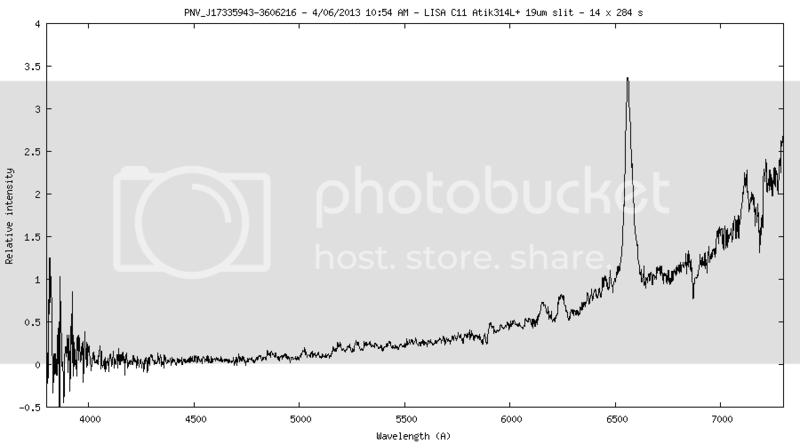 Here are links to the 1x1 arcmin precursor deep image, and the June 1 outburst image. They say there are no precursor candidates down to around I<21mag. A nice comparison set of images! It is saturated for OGLE (that limit is Ic=12.5), and so while they will get a really nice lightcurve as the star fades, right now they can't get anything. Those in the southern hemisphere might want to image at Ic, both since the nova is faint at V and to provide the bright end for combining with OGLE later. 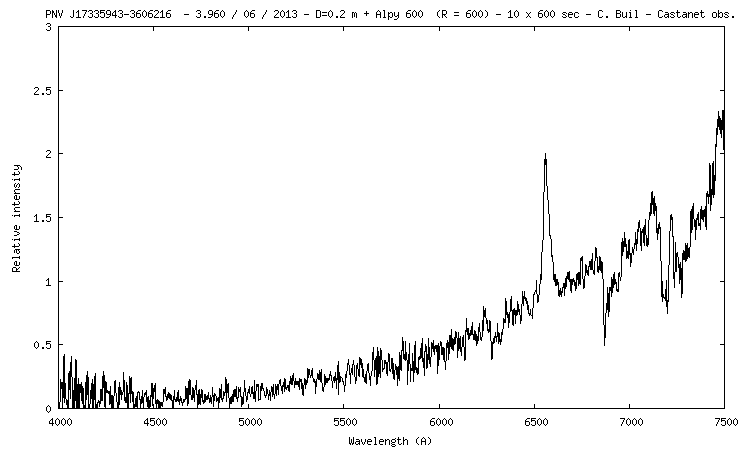 The spectra now has a much stronger Ha line and the Fe lines are now much more obvious.